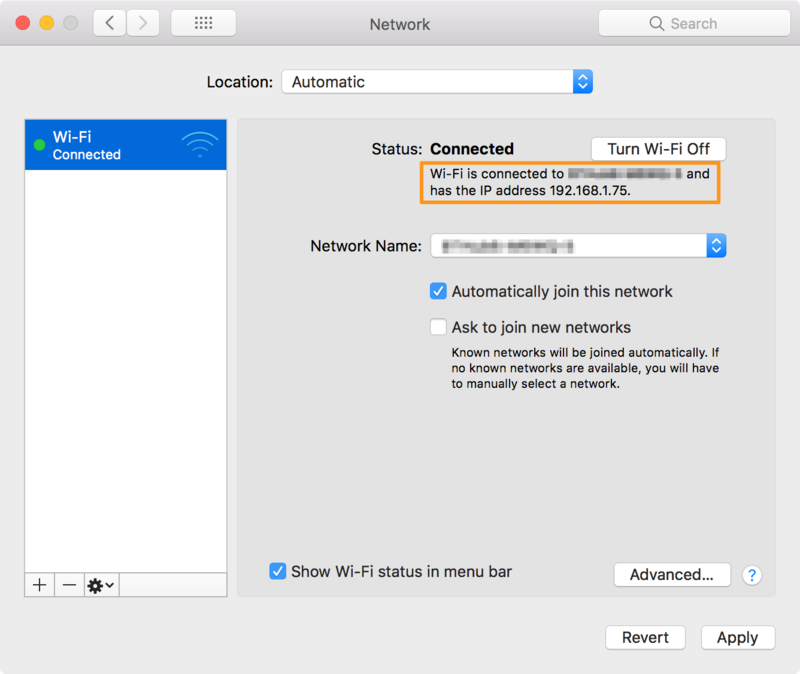 Other computers on your network can connect to your Mac using any one of three network names: its Bonjour name, NetBIOS name and IP address. We’ll be using scutil, PlistBuddy, defaults, ipconfig and pingto get this information together with your Mac’s computer name and host name which – although not required to connect to your Mac – form part of the same system configuration data. The output of both commands is the same and requires a suffix of .local to make it a valid Bonjour name i.e. Some-Very-Long-Local-Hostname.local. 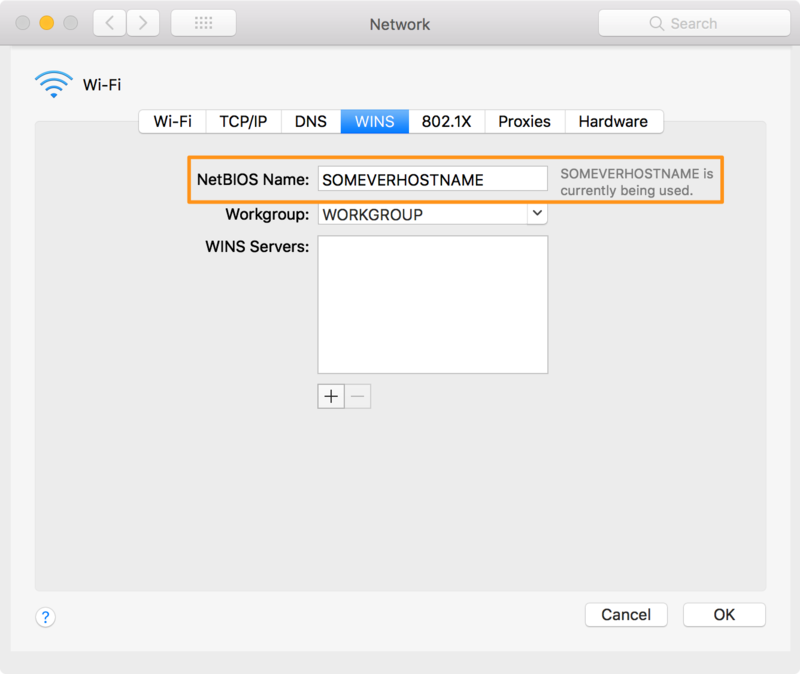 It is my understanding that the NetBIOS name in macOS exists mainly so that any Windows machines on your network can discover and connect to your Mac. 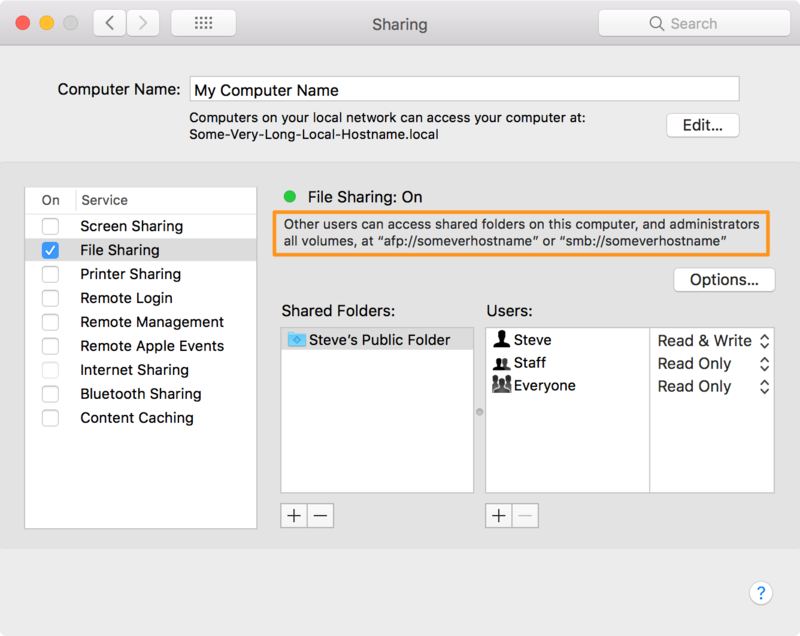 However, it can also be used as part of your Mac’s network address that allows other Mac’s to connect to it. It appears impossible to directly change the NetBIOS name permanently through either System Preferences or the command line with any changes not surviving a reboot. This may be down to your network’s router or macOS or a combination of both. 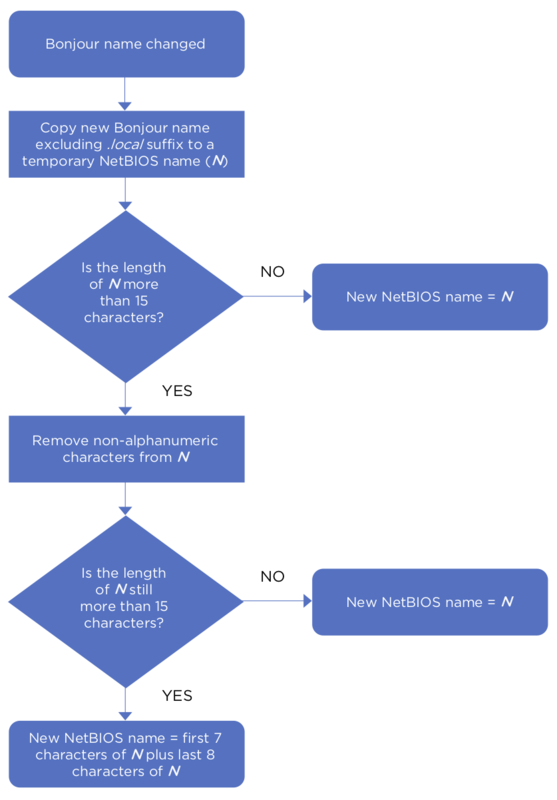 Whatever the reason, the NetBIOS name appears to be derived from your Mac’s Bonjour name. 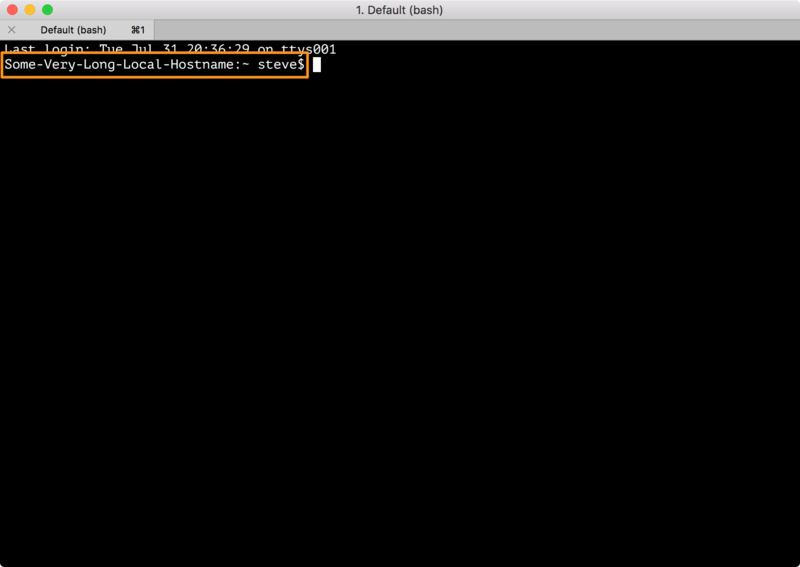 You can use either ipconfig or ping to get your Mac’s IP address. NOTE: If you don’t see any output using en0 then try en1. One of these interfaces will be for the Wi-Fi port the other for the Ethernet port. Which interface is used for which port is decided by your Mac and which interface has your network IP address is ultimately determined by if your Mac connects to your Network wirelessly or by Ethernet. Having already gotten your Mac’s Bonjour name and NetBIOS name you can use these with ping to get the IP address. Your Mac’s computer name is its user-friendly name. We can use scutil or PlistBuddy to retrieve it from /Library/Preferences/SystemConfiguration/preferences.plist. NOTE: The -f flag is optional as this is the default behaviour for the hostname command. 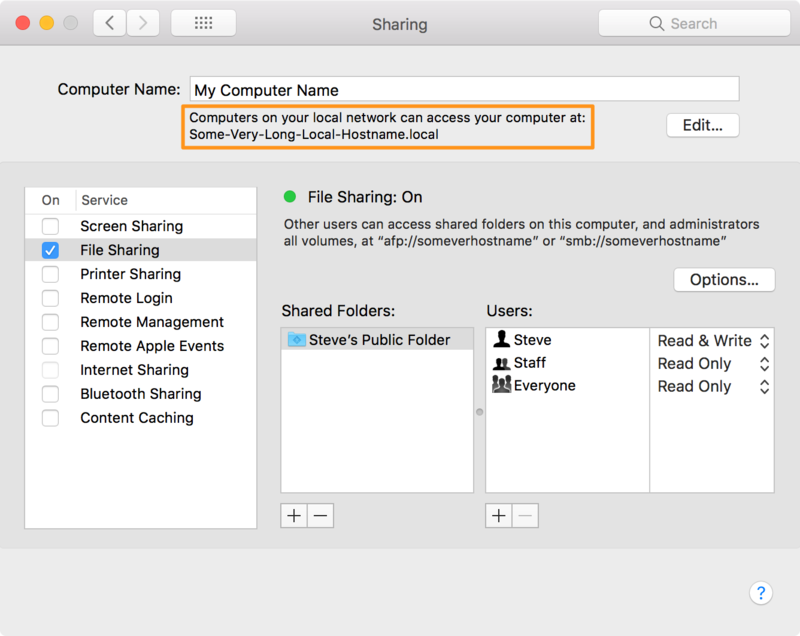 The value of HostName and LocalHostName are often the same, but they should not be confused as they can also be different. It’s important to remember that it’s the value of LocalHostName that constitutes your Mac’s Bonjour name, not the value of HostName. Finally, we’ll take at look at changing your Mac’s Bonjour name, computer name and host name with the same utilities we used to display that information. The following examples change your Mac’s Bonjour name to NewBonjourName. You should change this value accordingly before using the code. sudo scutil --set LocalHostName "NewBonjourName"
The following examples change your Mac’s computer name to New Computer Name. You should change this value accordingly before using the code. sudo scutil --set ComputerName "New Computer Name"
The following examples change your Mac’s host name to NewHostName. You should change this value accordingly before using the code. sudo scutil --set HostName "NewHostName"
I’ve deliberately omitted how to amend your Mac’s NetBIOS name and IP address. The NetBIOS name for reasons already stated and the IP address because it’s normally dynamically assigned by your network’s router. It’s possible to assign a static IP address but that entails accessing your router’s configuration which is beyond the scope of this article.